Save 15% on Floor Mats + FREE Installation! Save 15% on original Mercedes-Benz and AMG® floor mats and get FREE installation. Let us take the guesswork out of shopping for floor mats. Contact us below and mention this offer and we’ll set you up with a brand new set of Mercedes-Benz original equipment floor mats for your vehicle, including AMG®, Sprinter and Metris. 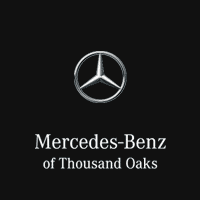 Our parts department is here to assist you with all of your Mercedes-Benz maintenance and upkeep needs. Whether you are a do-it-yourself garage hero, or an independent service provider servicing dozens of vehicles per month, give us a call and let us provide you with a world class customer experience! Please use the buttons below to order floor mats or contact our parts department. We can be reached by phone at 888-375-2408.